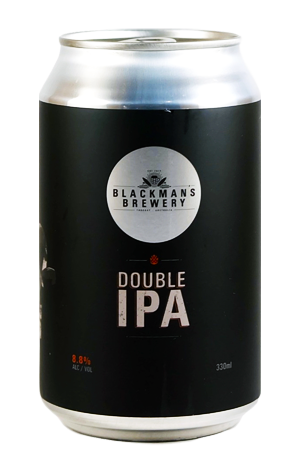 Early in 2016, Blackman's Brewery's just-canned IPA Reginald took out the top spot in part I of our two-part IPA Blind Tasting, wowing our panel with its bold yet balanced character. Around the same time, the Torquay brewery released a bigger version called Angry Reg, a double IPA that ramped everything up again to 8.8 percent ABV and 85 IBU [International Bitterness Units]. It proved so popular that we'd barely noticed it was out and in need of listing on the site before it was pretty much gone. Thankfully, the Blackmans decided to brew it again, with the second batch of Angry Reg all going into cans. It's described by them as "our Reginald IPA on steroids. Expect big, bold citrus and pine on the nose and a fruity, juicy taste." UPDATE: With winter upon us in 2017 and people looking for ways to warm from the inside, fresh Angry Reg has been canned. It's the same beer as before, in the words of Renn Blackman: "Big and piney." Listed stockists are for the 2017 release.